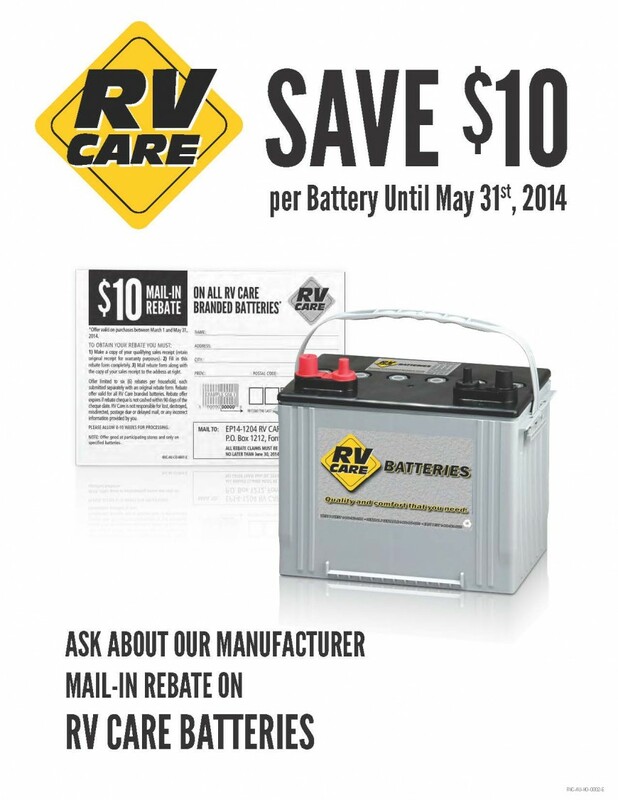 NOW is the best time to replace your RV or marine battery! Because from NOW until May 31st you can $AVE an extra $10 on our batteries!! + $10 Mail-In Rebate —– so now you can pick up a NEW East Penn Canada Battery with a 2 year FULL replacement warranty for only $99.95! !